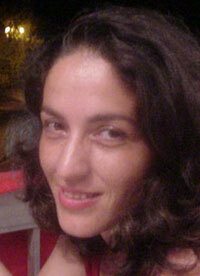 Faize Özdemirciler was born in 1964 in Larnaca, Cyprus where she lived there for ten years until 1974. After 1974 division of the island she and her family became refugees in Famagusta. After her secondary education in Cyprus, Özdemirciler studied literature at Istanbul University while finding the time to reach her Ithaca by working on her poetry. In 1999 her book 'Hüzzam Bozuldu' was awarded the Poetry Prize given by Turkish Bank in Cyprus. In 1993 she was awarded another prize by the Necati Özkan Foundation for Poetry and Essays. During her years in Istanbul Özdemirciler wrote cultural pieces for various magazines and newspapers such as Ortam and Yeni Düzen. Her poems were also published in literature magazines such as Hade. She currently lives in Cyprus where she writes and works for Afrika. yenik bir yasemin ordusuyduk, anladim! Yanlis sinyallere mecbur bir yasam benimkisi. tutar desek, otursak, yahya bey'den baslasak! zamanlar portokal bahçelerini sarhos eden sultani. andiran kadinyüzler hüzün ki nasil, boydanboya. en çok rastladigi.ah! o aglayan… aglayan çocuk tablolari.